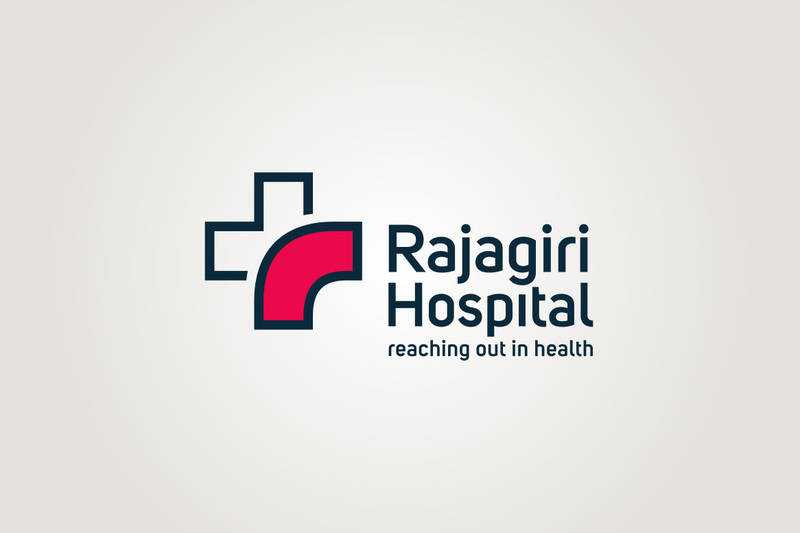 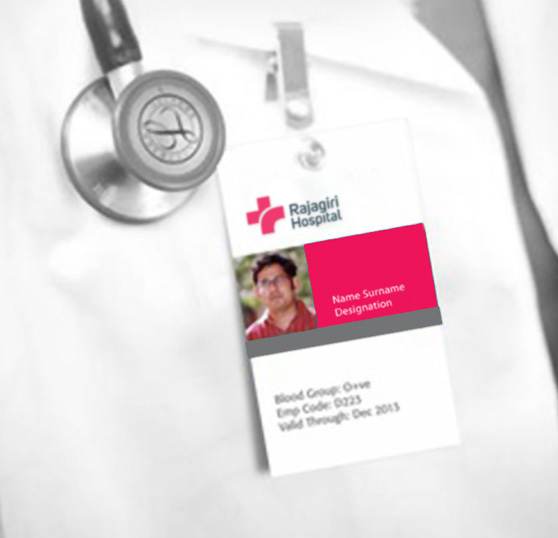 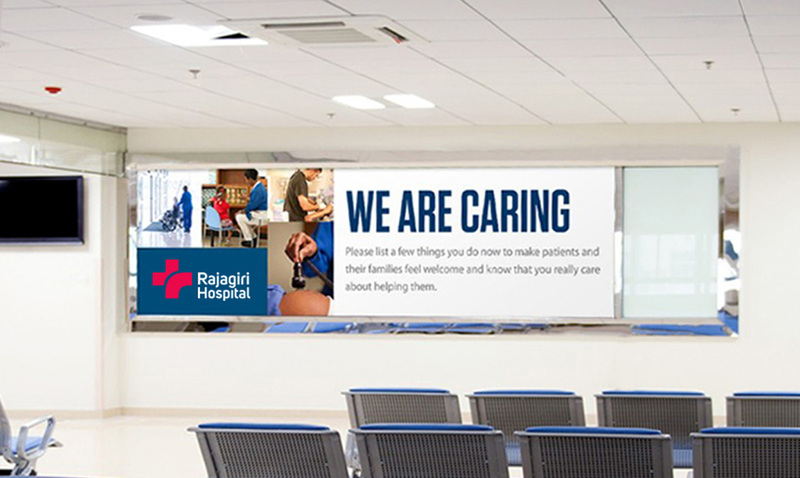 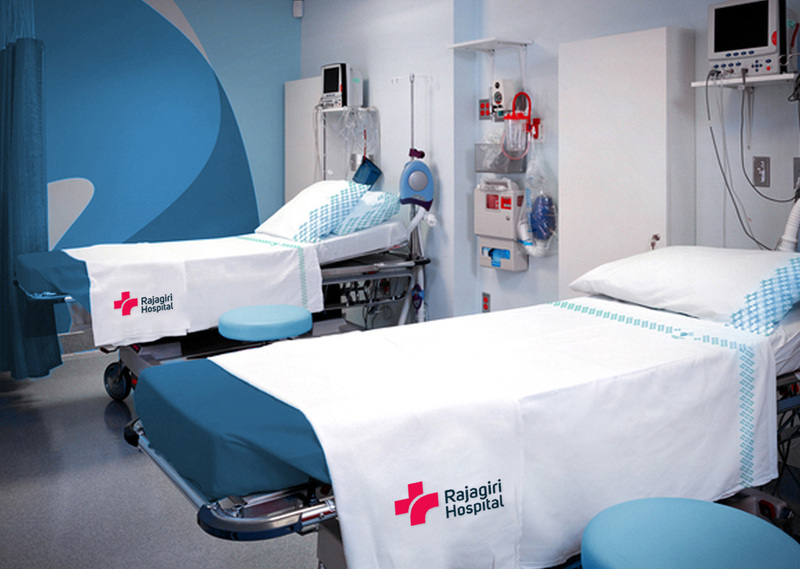 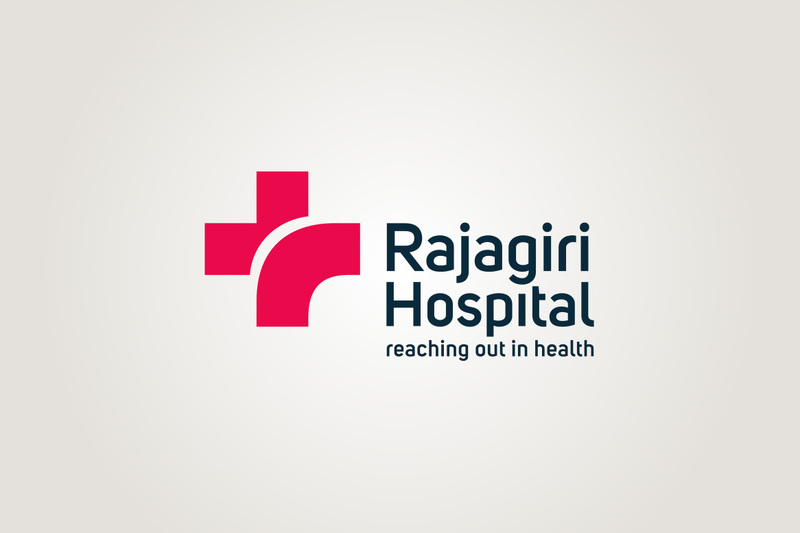 Rajagiri Hospital, located at Chunangamveli in Aluva, Kerala, is a missionary hospital with a corporate ambience. 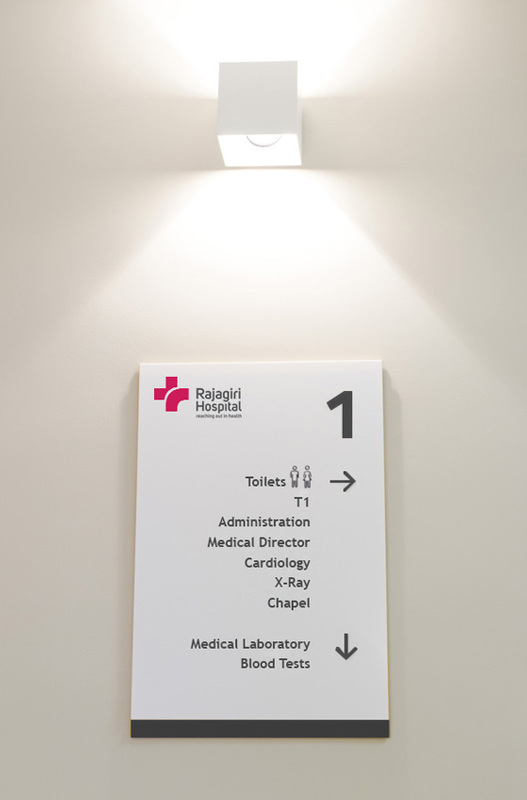 The fact that it is a missionary hospital means it's a hospital that’s not all about profit. 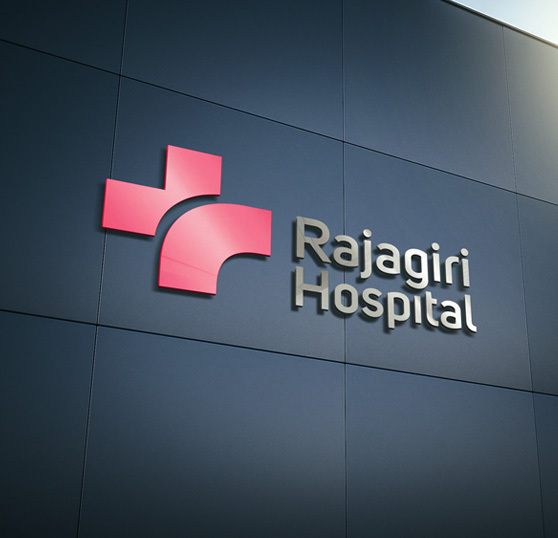 Set in 40 acres, the proposed 1,200-bed healthcare facility will have, in addition to the 550-bed multi-specialty tertiary care hospital, a medical and nursing college, an institute of paramedical sciences, a rehabilitation centre, and a senior citizens’ village. 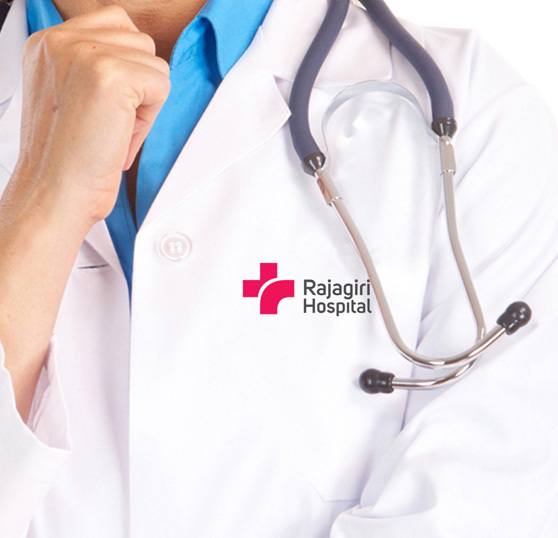 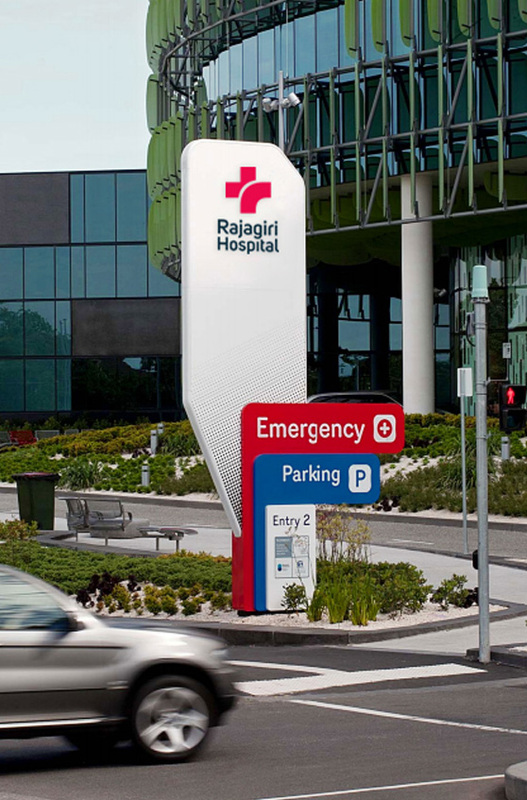 The modern, tertiary care hospital will offer a gamut of medical services under one roof. 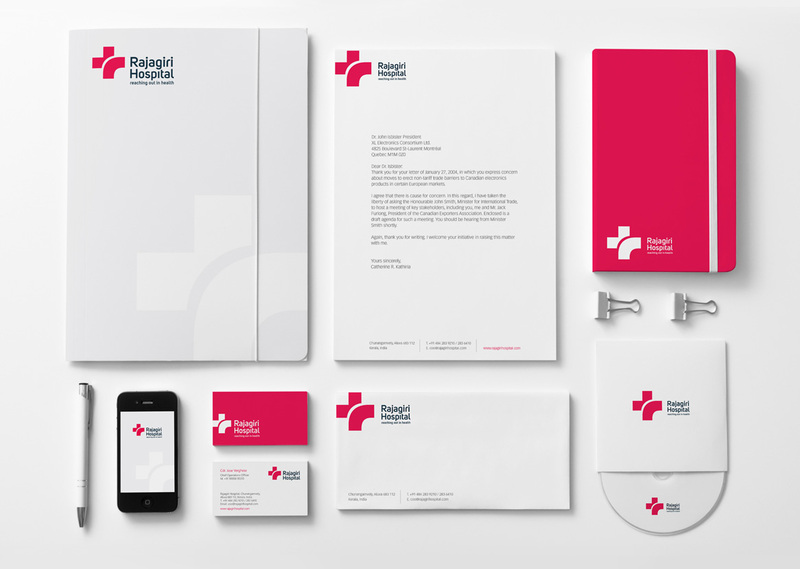 When Graycell met the trustees, the one thing we all agreed on when it came to design was that the logo needed to be bold, modern, and be easily adaptable across all media. Furthermore, while being recognised as a modern, technology-driven health care provider, they also wanted to maintain their strong Christian identity. 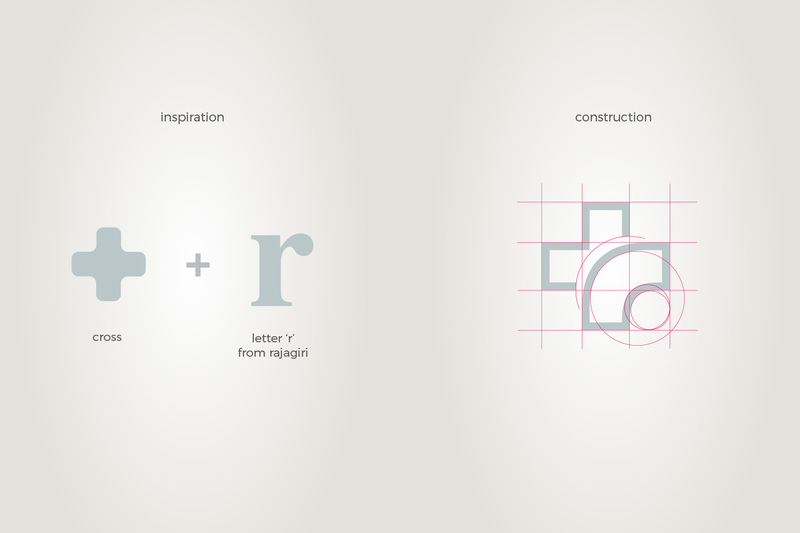 As a consequence, the logo is a combination of the letter ‘r’ and the cross. 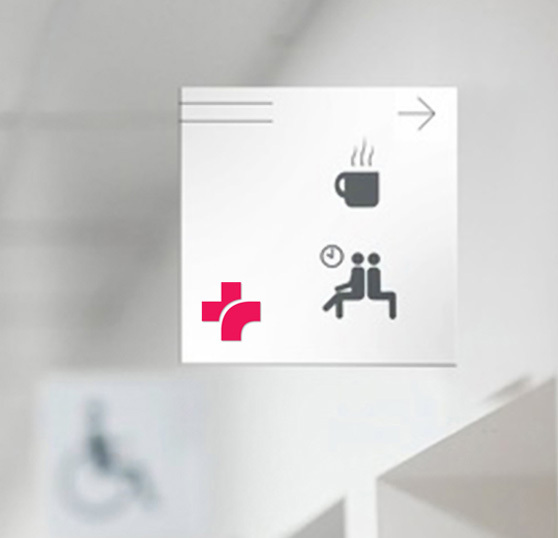 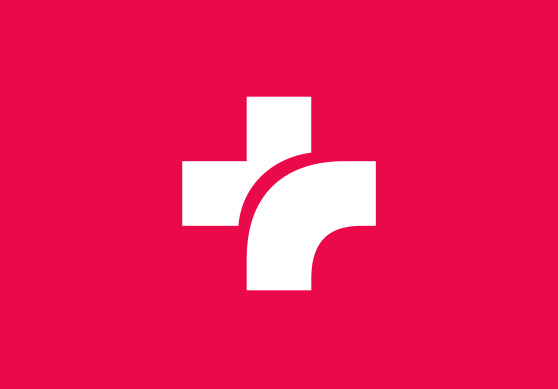 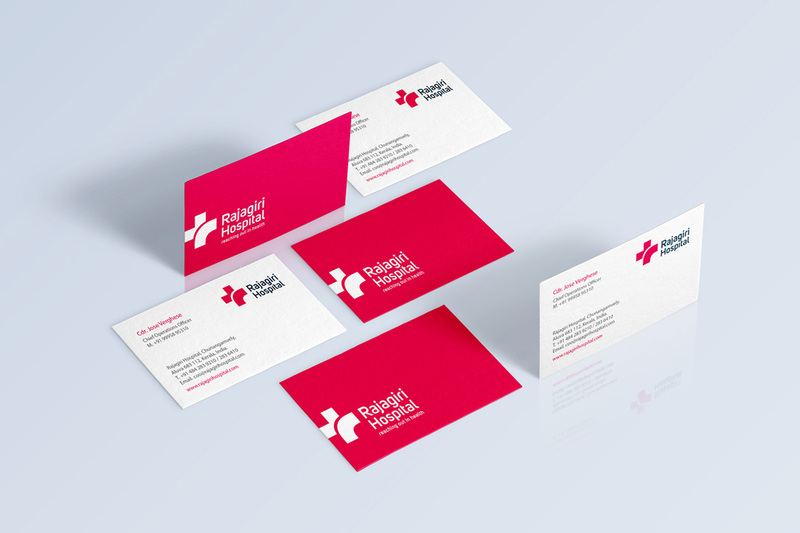 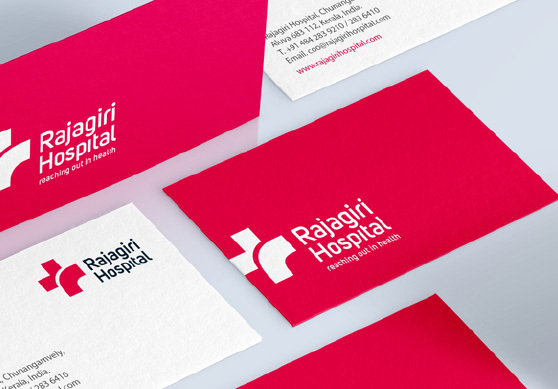 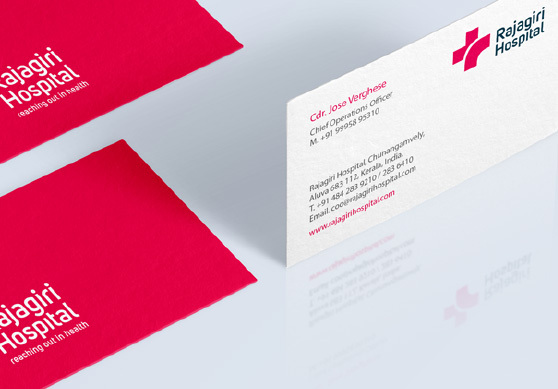 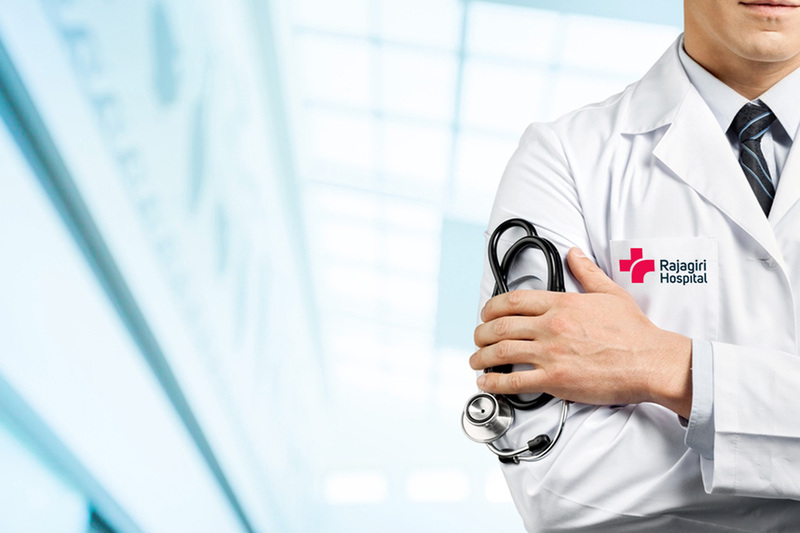 The bright pink colour of the logo is inspired by the term ‘in the pink of health’.